Your Entire System. All the information you need, in one place. All the information you need, in one place. Brought to you by RedZone. Wastewater and water services are essential, but too frequently very little is known about the true state of the abundant underground assets which facilitate these critical services. What assets do I own? Where are all assets located? What is the true condition of each asset? What is the useful life of each asset? 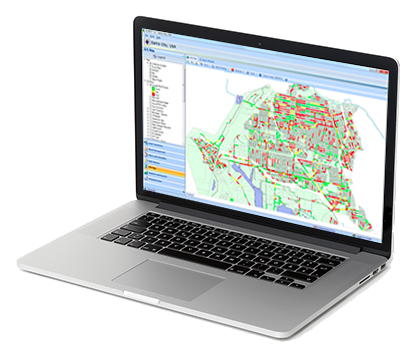 Featuring RedZone’s proprietary data acquisition robotics and industry leading ICOM3 wastewater asset management software, the revolutionary YES Your Entire System program provides a comprehensive asset management solution that enables asset owners to be proactive in their asset management and execute projects based on complete sets of information. The YES Program provides unprecedented amounts of information and access to data, as well as payment plans that allow utilities to save money and extend services at the lowest possible costs, all while reducing the risk of failure.